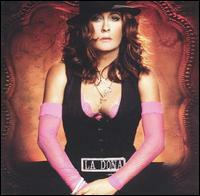 La Doña is the eleventh album by Teena Marie, released in 2004 on the Cash Money label. The album includes guest contributions from Rick James ("I Got You" - this was the last recording James made before his death), Gerald Levert ("A Rose by Any Other Name"), Common ("Revelations 3:8 Introduction"), Birdman ("Off the Chain"), MC Lyte ("The Mackin' Game") and Marie's daughter, Alia Rose. The album peaked at #6 on the Billboard 200, Marie's highest placing (and first top 20 entry) on that chart. It also reached #3 on the R&B Albums chart. The lead-off single "Still in Love" (which samples Al Green's 1972 track "What a Wonderful Thing Love Is") was nominated for a Grammy Award in 2005 in the category Best Female R&B Vocal Performance. All songs written by Teena Marie, except where noted. This page was last edited on 24 October 2018, at 04:27 (UTC).